Scamorza - The etymology of the word scamorza is likely to be found in its shape that reminds of a “capa mozza” that is a cut head. It’s a cow cheese produced all year round in the whole region with cow milk whose paste is cooked and filata. 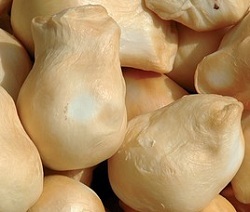 There are different variations of scamorza, both depending on the aspect (the colour of the crust can change from yellow to brown, the shape and can more or less spherical, it can have an accentuated head or not) and on the flavour (it can be fumigated or not, and filled with different ingredients). The crust is slick, thin and ivory white if the product is not fumigated, in this case it would be more of an ocher colour. The pasta is a hay colour with a soft consistency and an aromatic flavour. 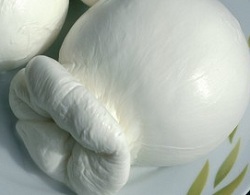 In the provinces of Naples, Salerno and Caserta that is the areas when buffalo mozzarella is produced, a very tasty scamorza with buffalo milk is produced. Scamosciata is a tasty cheese produced in the province of Benevento; it is characterised by its soft consistency, a particularly elongated shape and a very delicate flavour. 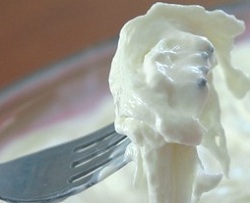 It is obtained from cow milk and once filtered and warmed, is left to coagulate thanks to the addition of curd. Later the curd is pulled out and shaped into strips, to be filata and worked by hand to give it the characteristic elongated shape. The pieces obtained are first preserved in brine and then packaged and sold. Stracciata - In the provinces of Avellino, Benevento, Caserta and Salerno a fresh cheese is derived from the production of other kind of cheeses a pasta filata. It has a creamy structure that can be white or yellowish with a strong like flavour, sweet and delicate. This cheese is called stracciata, because one of the fundamental passages of its transformation is to “tear” the pasta filata. To produce it the milk is filtered and warmed, curd is added and the paste is left to rest for an hour. After that the curd is broken up in pieces with a soup spoon, when the whey is separated it is taken away. The paste is immersed in brine and warmed, after it has risen for two hours, it needs to be mixed and shaped into homogeneous strips. Once the strips are dry they can be “torn” in the cream previously obtained and are left to rest for half an hour before being packages in small dishes. They are preserved in the fridge and eaten a few days after packaging. Treccia is produced in the whole region: it is a cow milk cheese with the characteristic shape of two strips plated together, a shape it is given after it has aged. 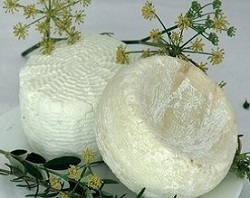 The cheese is a past filata and can be fumigated or stuffed. It’s production is common in the whole region and, like all cheeses a pasta filata, in this case too, the experience of the cheese maker is what establishes the right moment to start the filature, that is the most typical and traditional phase of the production procedure. Juncata - The Province of Avellino, famous for the production of chesses, spun pasta and caciocavallo, is the area of origin of a very ancient and very particular product: the Juncata or Giuncata. Mentioned already by Teocrito, a Hellenistic poet, it is a fresh cow’s milk product of morning or evening milking. Filtered, heated and with added rennet, it is collected during the first phase of curdling. Afterwards it has to be dried in containers, put into rush baskets, after those it is named, and then it is left to rest for a couple of hours. It is produced and merchandised the same day, it should be eaten fresh in order to appreciate the particular tender consistency, similar to a pudding, and the sweet and delicate flavour. 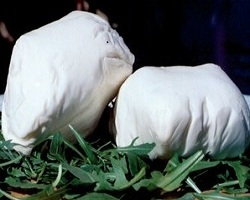 Burrino e Burrata di Buffala - Produced in the areas of Naples, Salerno and Caserta, burrino is a cheese made of spun dough of buffalo cheese with a ball of butter in the middle. 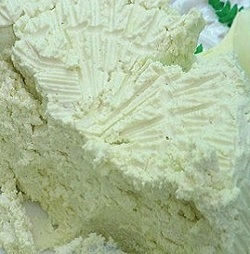 The butter is made with the remaining whey from the cheese dough production, and is separated and given a round shape. During the production of the cheese dough, little dough sacks are made with butter in the middle. The name depends on the shape; when it’s small with a little head it’s called burrino and when it’s large and completely round it’s called burrata. The shape and sizes may vary from different producerrs but the final characteristics are the same. It’s a very fatty kind of cheese, arising from the necessity, especially in the past, to store butter as long as possible without altering the flavor. Burrino is cut in round slices with the butter in the middle, generally consumed fresh, spread on toasted bread together with young and fresh red wines. Fiordilatte is a fresh “pasta filata” (kneaded curds) cheese with ancient traditions in Campania; the most famous is the Agerola one, a small town famous at the time of Galeno for the production of “very healthy milk”. High quality cow milk is used for the production of fiordilatte. The milk comes from different milking and is supplied raw to the creamery, within 24 hours of the first milking. The milk is worked in the same way as cow mozzarella except for the different shape and consistency of the pasta. The shape is variable, round with a little head, a little knot, a braid, or parallelepiped, according to where it comes from. It does not have a crust, it is milky white with yellow shades, it has a tender skin and a smooth, shiny and homogenous surface, its consistency is soft and when cut it releases a milky, homogeneous and characteristic liquid; the flavour is fresh, of a lightly acidulous milk. Mozzarella “co’ a mortedda”, is a cheese a pasta filata obtained from the transformation of cow milk and its traditional production can be found in few towns of lower Cilento, in the province of Salerno. The name comes from the custom of packaging the mozzarelle, in long and flat shapes, the so called “mozzarella stracciata” (torn mozzarella), alternating them to freshly picked myrtle twigs and then tied at the ends with thin and flexible branches of broom. These packages were generally called “mazzi” (bunches) and contained about 6-10 mozzarelle. 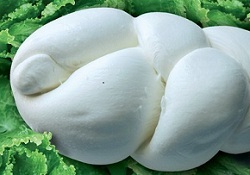 Anciently mozzarella was produced near the areas where the animals were bread and there was the need of preserving it in packages that could protect it during transportation to the nearby towns where it was then sold. The choice of using myrtle, also known as mortella, is because it’s an evergreen plant and it can be easily found since it grows spontaneously in the Cilento pasture. It is also used because it gives a particular aroma to the product. A peculiarity of the transformation is to let the curd age, after the breakage, with hardly any whey, and this gives the product a compact and dry consistency with a rather thick external film. This cheese is very particular and it is eaten after removing the myrtle package; it maintains the imprints of the leaves and the branches and especially the aroma. 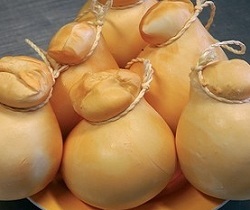 In the last years a new cheese called bebè di Sorrento, similar to the famous caciocavallo, has been produced in the Sorrento peninsula. The bebè is named after its shape that recalls a baby and it’s a tasty cheese made of vaccine milk with a half cooked and spun dough with a very clear colour. Preparation is very similar to caciocavallo but it’s left to season for a very brief period, hence the sweeter taste. Probably made to offer tourists a sweeter version of caciocavallo in a shorter production time. Smoked Caciocavallo - Caciocavallo is a spun dough cheese with ancient origins, very popular in the whole south of Italy, with local variations. The name derives from the ancient habit of tying two pieces of cheese with a raffia ribbon and hanging them over wooden perches near the fire, to form the external film and to age. It’s produced all over Campania only with whole milk from the podolic breed of cow, it has a round shape with a little head tied with a vegetal string. The skin is thin, pretty soft, and the dough is spun and can be smoked by firewood or hay. Seasoning lasts from 60 days to 12 months. The long seasoning product is left in suitable aired rooms or caves where it acquires its spicy flavour. In some areas near Caserta (Monti del Matese) the last part of seasoning is still done in hay and it gives the caciocavallo a delicate and particular aroma. 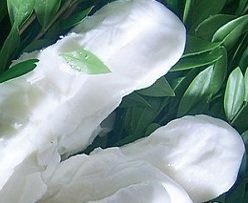 “caciocavallo di bufala” is also produced in the same areas where buffalo mozzarella is made near Naples, Salerno and Caserta, following the classic techniques but using buffalo milk. Manteca - In the province of Avellino and especially in the internal areas that are traditionally linked to transhumance, a very ancient cheese is produced that is very similar to ricotta: the manteca. 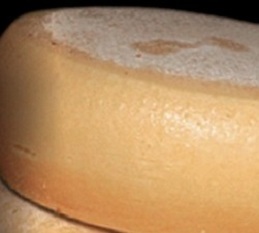 It is obtained from the same cow milk used to produce cheese a pasta filata, like caciocavallo or scamorza. Manteca is prepared warming the milk to 40C, it is then coagulated with lamb curd and after 30 minutes the curd is broken up in the size if a hazelnut, it deposits on the bottom and the whey is taken out to produce ricotta. The whey is warmed at a temperature if 85-90C, acid whey is added and, when the ricotta forms, it is collected and left in a cotton cloth to drain for a day and a night. This is the Manteca. The next morning, the Manteca is crumbled by hand, in a wood or metal bucket, adding small quantities of water, when it looks like a mash abundant water is thrown on it to obtain the separation of the fat, the butter, from the buttermilk. Cacioricotta Caprino del Cilento - Cacioricotta is a tasty goat cheese whose name derives from the particular milk coagulation process and is tied to Cilento’s area, near Salerno, where it’s been produced and traded for years. It’s cylindrical and a light hay yellow or darker colour and has an intense flavour depending on the amount of time spent seasoning. The main ingredient is the fresh goat milk that makes it unique. The production process is also very important: the milk is heated until it boils and left to cool until it’s about 37° C. In this stage goat curd is added. 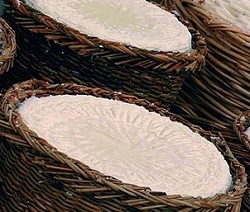 The curd is broken in pieces and then put together again in fuscelle, typical wicker baskets, to let the whey pour out. The particular combination of heat and curd determines the coagulation of milks proteins, that is cacium and the whey, become ricotta. The product is consumed fresh or seasoned. Seasoning makes it hard, compact and flaky. Goat cheese (caciotta di capra) - The Lattari Mountains constitute the ridge of the Sorrentino Peninsula between the Province of Naples and Salerno. They have been defined already by ancient Romans: Montes Lactarii, that means rich in milk, because of numerous goats of the “Neapolitan” race, producers of excellent milk, that are bred in this area. Even today the Neapolitan goats, although dying out, graze in a semi-wild manner in the Lattari Mountains, producing a quality milk, used to produce the ‘e zi’ Maria caciotta or the goat caciotta of the Lattari Mountains, a cheese produced by many generations in the little town of Pimonte. This caciotta is fresh or matured for a short time, it is not excessively fragrant and it is characterized by a very delicate and sweet flavour, ideal as filling for fresh pasta and it can be eaten with salami or vegetables. It is produced in various sizes, from 400g to 1kg, in forms that remind of a truncated cone or a double truncated cone and it is appreciated not only for its typical taste, fresh and natural, but also for its particular lightness and its low calorie content. This is why it is a cheese that combines the ancient taste with the modern tendency of the food science, that advises the consumption of food with low calorie and fat content. Caciottina canestrata di Sorrento - Caciottina is a fresh cheese whose ancient origin is linked to Sorrento and the peninsula’s area. It’s a fresh cheese with a soft dough made of cow milk that is produced in small cylindrical shapes, about 20 to 50 g. each. 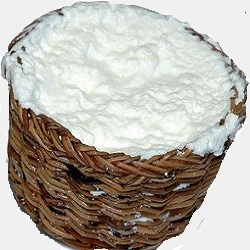 The production process is to heat up the local cow’s milk to which curd is added; the cheese is left in little wicker baskets, from which it’s named, and left to dry. Then it’s wrapped in parchment paper. It’s a fresh and delicate cheese, that tastes a lot like milk, and is a perfect combination for tomatoes and marinated or grilled vegetables. Formaggio Caprino produced in Cilento in the province of Salerno, in dialect is called “casu” and is a very ancient production: the shapes are cylindrical, the colour white and there are two varieties, a sweet one produced with calf curd and a more intense and slightly chili one using a kid curd. The traditional procedure is very ancient: the milk is filtered and warmed at about 36-37C. Then the curd, of calf or kid, is added and it coagulates in about 20-25 minutes, it is then broken in clots as big as rice and is left to rest for about 15 minutes. It is then transferred in the fuscelle, small wicker baskets, left to drip for about 30 minutes and then immersed in ricotta whey. After 5- 8 hours when dry it is salted over two days: the production is then completed with the immersion in whey and the drying on racks. Ageing can affect the flavour of the caprino, the longer it is left to age the more sapid it is. Caso conzato or conciato romano, is a luscious cheese that has very ancient origins and a very intense flavour. It is produced in the province of Caserta by few firms in the area of Pontelatone–Castel di Sasso and nearby the Caiatine Hills. Its name is a dialect mutation of “cacio conciato” (treated cheese) because it goes through laborious cures while it matures. It is produced using sheep, goat or cow’s milk, in variable proportions, which is heated at 30-35 C and to which is then added natural goat curd. After about 30 minutes the curd is broken in crumbs the size of a hazelnut, it deposits, separate from the whey and placed in the fuscelle, small baskets made of wicker or plastic, and it is then pressed by hand. The forms obtained, of medium-small size (200-400 grams) are salted rubbing the surface and left to dry in the “casale”, a wood structure protected by a mosquito net. Then, the forms are washed with the water used to cook homemade pasta (“pettole”), dried and “conciate”, that is “treated”, with an emulsion of olive oil, wine vinegar, wild thyme and mint leaves. The forms are finally laid to mature in terracotta or glass jars for six-twelve months and turned once a month. 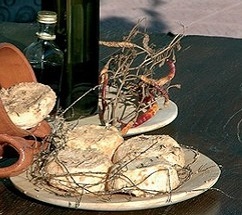 During this phase, the forms are cleaned from mould that forms on the surface and treated another time with the emulsion of oil, vinegar and herbs; this particular procedure gives the cheese its peculiar characteristics: a special consistency, a penetrating and persistent scent, an intense and aromatic taste. “Casoperuto” is an ancient sheep-goat cheese from the province of Caserta, typical of the area on the border with Molise and Lower Lazio, between Sessa Aurunca and San Pietro Infine, an area that has a very ancient pastoral tradition. “Casoperuto” means “lost cheese” (cacio perso): if it has matured well, in fact, it has a very strong smell of mould and it looks wrinkly. The peculiar treatment, based on the use of vegetable curd obtained from lady’s thistle (Cynaria Cardunculus), the curing with “pimpinella” (wild thyme), and the maturing in terracotta vases, confer this cheese a penetrating, strong and unusual flavour, as ancient as its origins. It is made with filtrated raw goat and sheep milk, it is coagulated with curd obtained from thistle flowers picked in the summer on mountains pastures. The curd is broken very fine, it deposits on the bottom of the heater and placed in fuscelle of wicker or even plastic, of 10-12 cm diameter. After a few hours, the forms are salted and left to dry on wood boards until they expel the whey; once dry, they are washed with the water used to cook homemade pasta (“pettole”), then dried and treated on the surface with white wine vinegar and olive oil, in the end they are covered with dry pimpinella and laid in hermetically closed terracotta jars. “Casoperuto” has an ancestral rustic look: on the surface it’s hay yellow, with a soft and homogeneous consistency, it has a penetrating and characteristic odour; its intense and aromatic flavour creates a not common balance of the senses. The forms weigh between 250-400 grams. 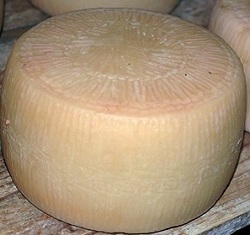 Similar to casoperuto is the much sough after “marzolino” or “marzellina” of Teano, a delicacy soft medium ripeness cheese made on the hill fractions of Teano. During the month of March, the raw fresh sheep and goat milks are mixed, filtered and coagulated with vegetable curd obtained from thistle flowers; the curd is broken finely, then transferred in small long and narrow fuscelle: after lightly slating it, the little oblong forms, that weigh about 150 grams, are left to rest on wood boards and covered with wild thyme. Following an ancient tradition the ripening, that lasts about 6 months, is completed in the caves dug in the tufaceous ground, in niches recovered along the access stairs at a precise depth. The fragrance of the fresh goat milk, the aroma of the wild thyme, the ambient it is ripened in confer the very rare marzolino di Teano very peculiar characteristics. The surface, covered with aromatic herbs, is a light yellow fading into a hay colour, the crumb is candid, soft and spreadable. The aroma, light but decisive, the delicate taste, lightly chilli, aromatic and characteristic make it a real tastiness. Unfortunately with the disappearance of goat farms, family owned and quite common some time ago, marzollino is seriously risking extinction. Casuforte (strong cheese) di Statigliano - The Cacioforte or Casoforte is a goat cheese matured and packed in Statigliano, a small hamlet of Roccaromana in the Province of Caserta. Nowadays, due to the abandonment of the goat farming, only a limited quantity is produced by one local peasant family, that respects the traditional completely manual production. As soon as the goat milk is milked, it is curdled at ambient temperature with kid rennet; after about three hours, the curd is separated manually from the whey and put into wicker containers, where it remains for a couple of days to dry. Then, the cheeses, removed from the containers, are left to rest for some more days in closed rooms at ambient temperature. At this point, the long phase of maturing initiates and it lasts generally from six to twelve months, but can last longer to lend the cheese an even intense flavor. During this period the cheeses, put into terracotta or glass pots, form a mould at the surface, that has to be removed patiently. The cheeses, small and cylindrical of about 200 grams each, have a ivory white rind, the cheese spread has a strong goat taste, it is lightly spicy, soft and soluble despite the long maturing. 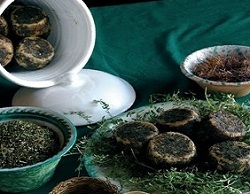 The production of cacioforte, today almost disappeared, is demonstrated from the Pre-Roman period and is mentioned in numerous texts about gastronomy and traveling. 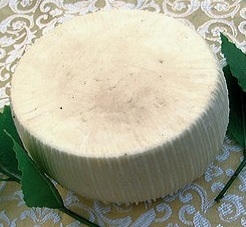 Pecorino del Monte Marzano - The aspect and the taste of pecorino cheese produced in the towns of Marzano Mountain, in the province of Salerno, are maintained unchanged through the years because the production procedure has remained unchanged and has been diligently passed along from father to son. 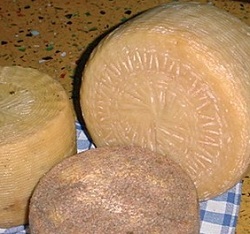 The forms of this pecorino with a hard paste, white colour fading into yellow, are protected by a wrinkly light brown crust and are obtained by transforming the raw sheep milk sometimes mixed with goat milk that are fed almost exclusively on natural pastures, except integrated feed during the winter months. This way the variegated essences of the pasture give the cheese an intense aroma. For centuries the shepherds of Mount Marzano have filtered fresh milk and warmed it on a wood fire in a traditional copper container, the “caccavo”; once the milk has reached the temperature of 38C, they add goat and lamb curd, previously diluted in water and filtered, and let is rest for 30 minutes. Once the curd forms, they break it in pieces as big as rice and let is rest under the whey for a few minutes. Then they collect the curd and transfer it in wicker fuscelle, mixing it to favour the dripping of the whey. During a second phase they immerse the form inside the fuscella in the boiling whey for about 4-5 minutes with the aim of scorching the cheese to favour the shrinking of the paste and form a homogeneous crust. The aging varies according to the flavor. Pecorino bagnolese - Bagnolese sheep or malvizza is a particular kind of sheep that is raised in the province of Avellino and in particular in the territory surrounding the town of Bagnoli Irpino. The bagnolese sheep is raised exclusively on natural pastures in small groups away from urban settlements and “casu’r pecora”, the so called “pecorino bagnolese” is derived from its milk. This is a cheese with a fat and hard paste, it is yellow and the taste is chili. It has a hard and compact yellow almost brown crust. 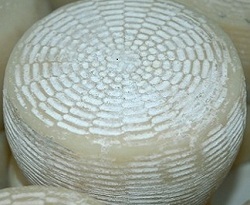 The production procedure of the pecorino is linked to traditional techniques: the bagnolese sheep milk is warmed to 37-40C and coagulated with artisan lamb curd. After about 30 minutes the curd breaks up in pieces the size of a hazelnut, the whey is removed to produce ricotta; at the same time the curd is transferred into wicker baskets called “fuscelle”, salted and left to age. 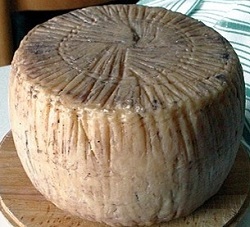 The pecorino, according to how long it has aged can be eaten: after a few days, cutting it in thin slices or roasting it; after 2-3 months as a dish with fruit or honey; after 5-6 months, when it will be chili, grating it. Pecorino di Carmasciano - A very tasty pecorino with an ancient tradition and characterised by a completely artisan preparation is produced in the small town of Carmasciano, amidst the towns of Rocca San Felice and Guardia Lombardi, in the province of Avellino. The sheep are bread in local pastures, in the area of the ancient “Mefite of the Ansanto Valley”, mentioned by Virgil in the Aeneid, for the presence of sulphur that seems to characterize the cheese. Their milk is warmed at 37-40C and coagulated with handproduced lamb or kid curd. After about 30 minutes the curd is broken, the whey is removed to produce ricotta and at the same time the solid part that has formed if worked until it turns into a compact paste that is transferred in the fuscella, a small wicker basket, where it is left to rest for 48 hours. The forms are then scorched in the hot whey and rubbed with salt and after ten days brushed with olive oil, white wine and vinegar. 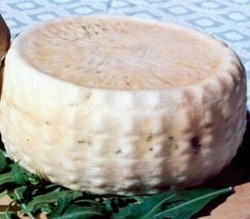 It produces in the end a pecorino cheese with a unique taste that can be aged or not, eaten in slices or grated. Pecorino di Laticauda - The sheep is probably born from the casual crossing of the Appenine sheep and the Berber sheet also known as Barbaresca of North African origins, imported in Campania during the Bourbons reign, and from which it inherited various features amongst which the big tail, fattish and large at the base, hence its Latin origin name: “lata cauda”, that is literally, big tail. The main area the sheep was bread was in the province of Naples; later it was moved towards Capua and then in the Ariano region near Benevento. Today it is bread mainly in the provinces of Avellino and Benevento although there is a significance presence in the province of Caserta too. The pecorino derived from its milk has been known since ancient times, at the end of the XIV century it was famous in the local tradition of the towns near Benevento near the Fortore River. Their tastiness was due, just like today, to the spontaneous herbs of the mountain pastures amongst which the white clover. The pecorino is prepared with freshly milked milk, or from the previous milking, filtered and placed in a heater to be warmed to a temperature of 35/40C, Lauticada lamb curd is then introduced. When the curd breaks, the small lumps that form are removed manually and placed in the cheese moulds; the product is pressed with the fingers until it becomes a compact mass. The cheese is then put in brine to be sold at different times according to the type: fresh, after two days, partly aged after 2 months, aged after at least 4 months. During the aging the form is washed with boiling whey and water. When the cheese is mature and starts “sweating”, that is it expels some drops of liquid, it is greased with extra virgin olive oil. At the end of the aging, the time being between 4 and 12 months, the product is hard, sometimes floury and does not adhere to the cutting instrument, with a fine grind and breakage in scales, without internal cavities and imperfections. The colour can go from hay yellow to bright yellow and it has a pleasant and intense smell of pecorino milk with a very aromatic and chili flavour. P ecorino fresco e stagionato (Pecorino, fresh or seasoned) “Casu ri pecora” is a sheep cheese that is produced in all the internal and flat areas of Campania, where transhumance is practiced. 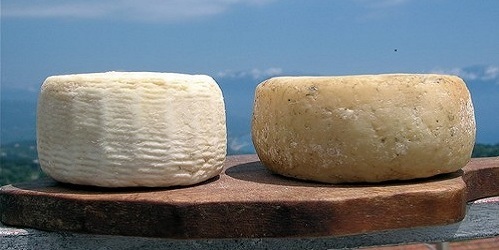 Pecorino is a tradition that goes back centuries, both in the fresh version than the aged one. It has a cylindrical shape, hard and wrinkly, a golden yellow with a white and compact pulp with rare small diameter holes. It has a persistent taste almost chili, if well aged, and an intense and pungent smell rich of aromas from the pastures. In particular the pecorino aged in cellars for a period that goes from 3 months to a year and that is greased with oil and vinegar, can be used grated as ingredient in many Campania culinary specialties. Pecorino salaprese - In the provinces of Caserta, Salerno, Naples and Avellino a variety of pecorino known as “salaprese” is hand produced. It is different from the other pecorino cheeses because it is eaten right after it has been salted, without the usual aging period. It is produced with sheep milk from autochthon races and it has a soft lightly coloured crust, covered in grease, of a light hazelnut colour. The pulp is compact, very soft and white or slightly yellow. Its flavour is not hot, a characteristic that comes with aging, and is very milky. It is produced with local sheep milk that is warmed at 36C, the curd is then added and left to coagulate for 20-30 minutes. The curd is broken in lumps the size of rice and is left to rest a few minutes. It is then hand pressed to get the whey out. After 3-4 hours the forms are scorched in boiling hot whey and then salted dry for 24 hours. The forms are left to age in a fresh and ventilated place. They are ready to be eaten after briefly drying at a constant temperature. "Riavulillo" in Campania dialect, is a small devil and also the name that was given to an ancient cheese, a traditional specialty from Vico Equense and Arola, in the province of Naples, for its main characteristics: the small dimension and chili hot heart. It’s a cheese that is produced the same way as caciocavallo and with the same shape, with a small head closed with raffia, but a lot smaller. The substantial difference, other than the dimension, is in the production, before giving it the typical shape, black olives and chili pepper are inserted in the middle, giving it the typical chili taste. Riavulillo can be eaten fresh or to enhance the flavour, cooked on the grill. 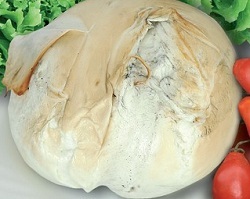 Fumigated provola (smoked provola) is a specialty produced everywhere in Campania, and in particular in the areas of Volturno Valley, Sorrento Peninsula, Vallo di Diano, Irpinia, Sannio and Matese. It’s a cheese that shares with mozzarella the ancient origin and the production techniques that are very similar. Provola too is obtained from the transformation of raw cow milk ad the origin of its name probably derives from the fact that it was the “attempt” (prova), that is the sample that was immersed in the boiling water to establish if the curd was ready for the kneading. 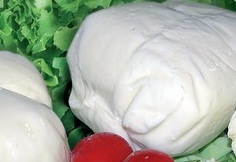 Differently from mozzarella, it doesn’t have to be eaten fresh, but it can be kept for a longer time; this is probably why it was more famous in ancient times than mozzarella: and proof is its presence in the famous Neapolitan nativity scenes of ‘700 where mozzarella and fior di latte are totally absent. 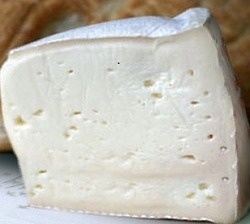 Provola, at the end of the transformation, that has a longer kneading phase than mozzarella, to obtain a more consistent pulp, is left for a few minutes in a closed place in contact with the smoke that comes from humid burning hay, to acquire its taste, the colour and flavour typical of smoke. Especially in the province of Salerno fumigated provola is produced with the procedure described, but using exclusively buffalo milk.